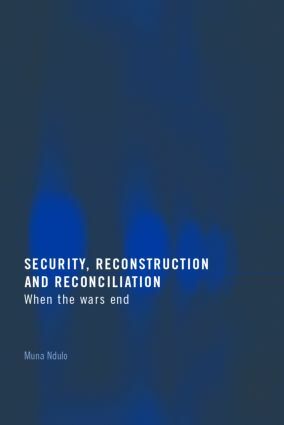 This key text brings together a team of leading contributors to address the complex issues of security reconciliation and reconstruction in post conflict societies. disarmament, demobilization, reintegration, post-war reconstruction and the building of a capable state and the role of the international community in the peace process. The chapters offer a detailed and succinct exposition of the challenges facing post conflict societies by articulating the vision of a new society. With a foreword by Francis Deng, the UN Secretary General’s Special Representative on Internally Displaced Persons, the authors discuss the issues in the context of possible solutions and lessons learnt in the field. This new book is a valuable resource for researchers, policy makers and students in the fields of conflict resolution, security studies, law and development.